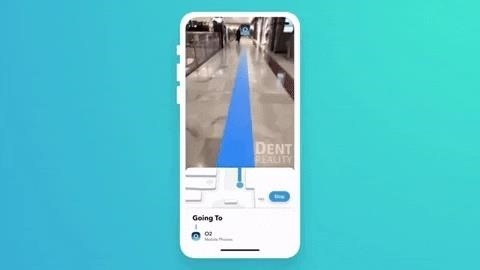 On Thursday, his startup, Dent Reality, released a new software development kit (SDK) that enables businesses to integrate AR into indoor maps for iOS ARKit apps, with virtual arrows and pathways overlaid on the camera view via ARKit to help users find their way from point to point within a building. "We've been working on this for a long time," said Hart, in a tweet announcing the SDK's launch. "Now ready to deploy in shopping malls, airports, retail stores, etc." The SDK from Dent Reality uses computer vision to orient the user's location within the indoor space with greater accuracy than GPS and without additional hardware or beacons. In addition, the technology uses artificial intelligence to find the best route through the space. Interested parties are encouraged to sign-up for more information via the company's website. Hart first made a splash with AR navigation via an early ARKit demo back in 2017. He parlayed that demo into a position at Blippar, where his ARKit and Core Location code contributed to the AR navigation in the AR City app. Later, he left Blippar and started Dent Reality in Feb. 2018 and began developing the new SDK. 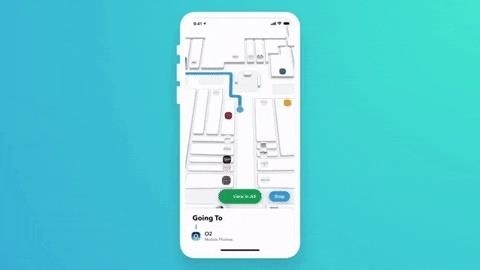 Since then, Google has unveiled its own AR walking navigation mode for Google Maps. However, as that service works outdoors, Dent Reality still has a fair opportunity to integrate its service into indoor navigation apps for a wide range of clients...until such time that Google catches up.